My post about cookbooks last month was quite popular–considering that I don't cook! It was the titles of the cookbooks that accounted for the popularity of the post. My post this month is about bathrooms, outhouses, and bodily functions! And, according to my friends and my family, I must be quite the expert on bathrooms and bodily functions–considering the number of times I go. 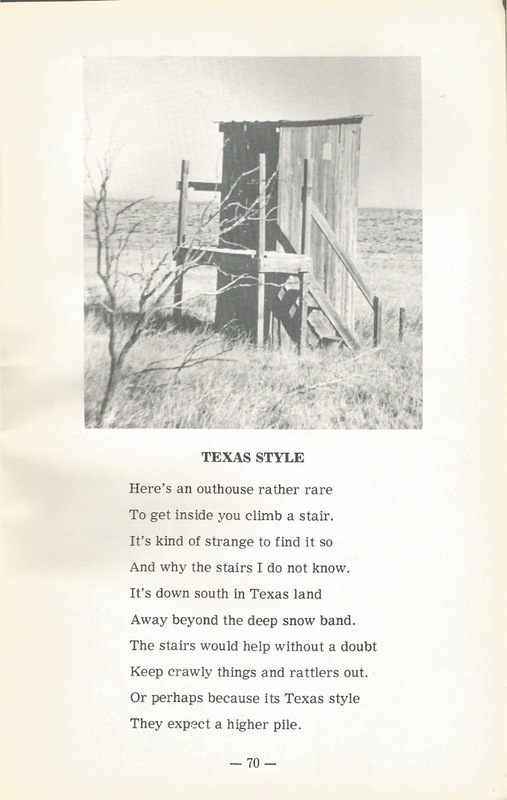 As for outhouses, some men have pinups of scantily clad women hanging on their walls. Me? I have a picture of an outhouse! 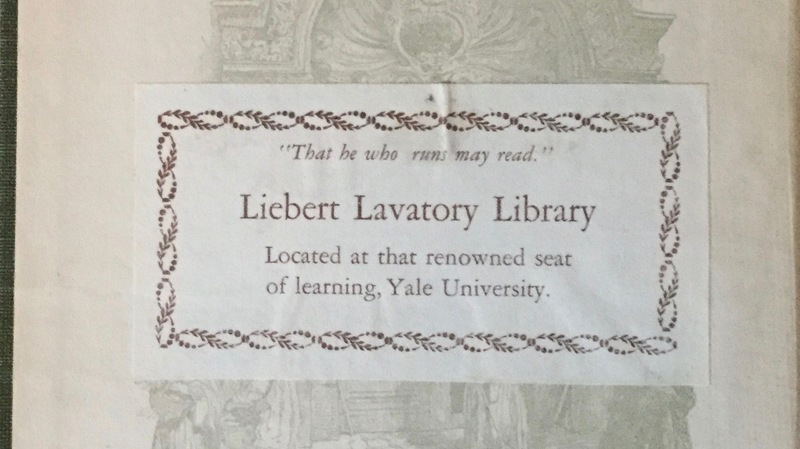 I have one book from Liebert's Lavatory Library in my Bathrooms, Outhouses, and Bodily Functions Collection. It is titled, With Those Who Wait.... And Liebert pasted his bookplate on the front pastedown. I have three books about the history of bathrooms, including one which Lew has: The Complete Loo: A Lavatorial Miscellany by Roger Kilroy, London: Greenwich Editions, 1984. 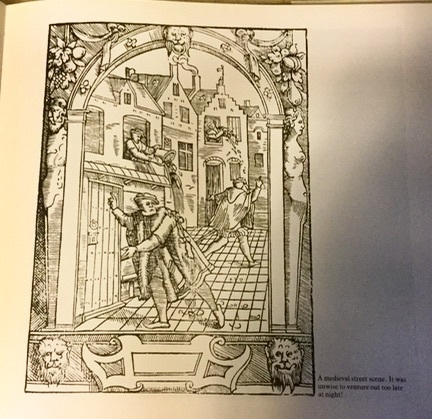 Before there were WCs, lavatories, heads, outhouses, johns, jakes, heads, privies, or whatever you want to call bathrooms, it was dangerous, as this ilustration from The Complete Loo shows, to walk the streets at night. 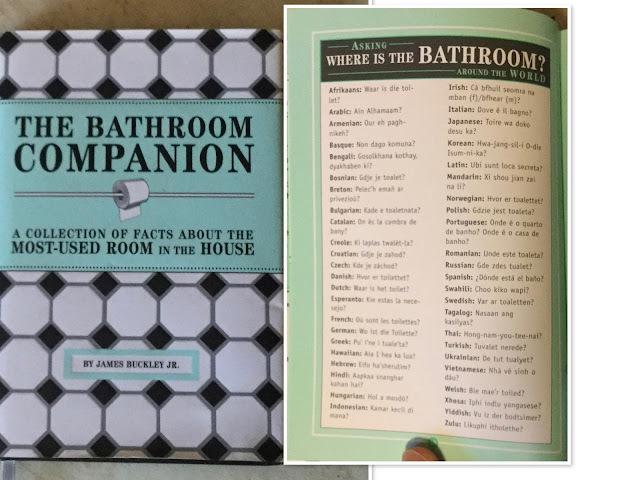 The Bathroom Companion below contains translations of the most urgent query in the world. And if you can't pronounce the translation, just resort to this universal language: cross your legs, put one hand inside your pants Napoleon-style, and point desperately anywhere with your other hand, all while displaying a look of anguish on your face. And if the universal language doesn't work, just say, "I gotta pee!" 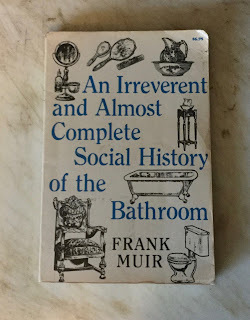 Baths and bathing appear to be the primary topics of discussion in Frank Muir's book in his "almost complete social history of the bathroom." 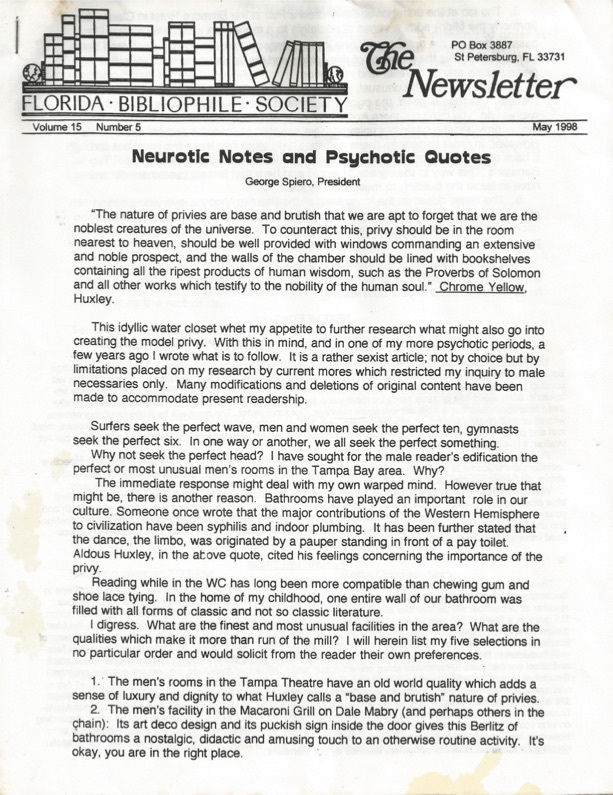 My friend George Spiero wrote about public bathrooms when he was President of the Florida Bibliophile Society way back in 1998. And he even quoted Aldous Huxley! 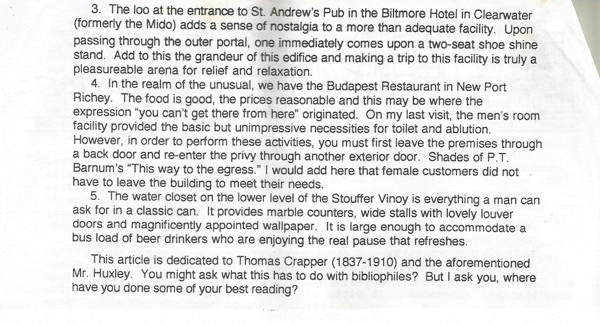 Some of the bathrooms George mentions in his diatribe are long gone. And so is the Biltmore Hotel for that matter. 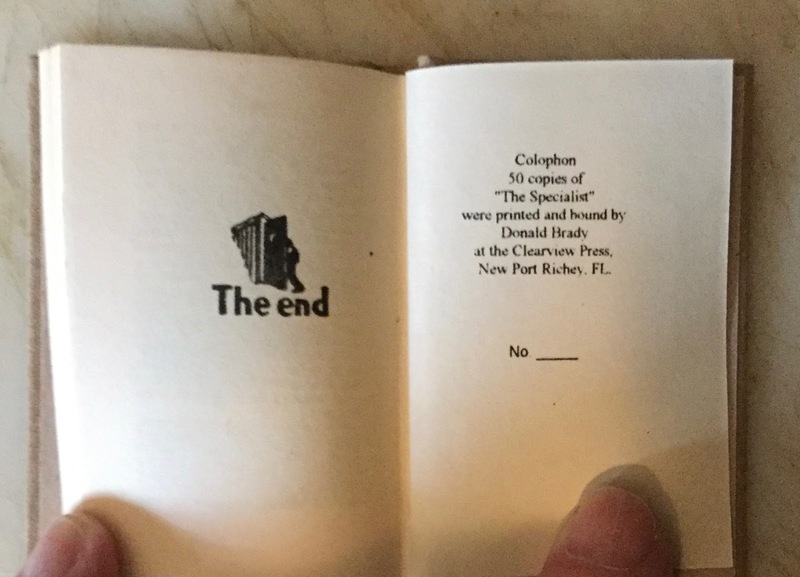 George is no longer a member of the Florida Bibliophile Society. In fact, George no longer lives in Florida; he moved to South Carolina. So I am "the last of the bookies." That, however, is another story. 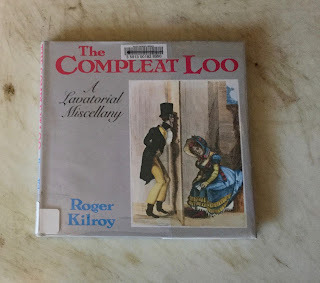 I have done some of my best reading in the john, and have lots of reading material close by. My library is right next to the john. 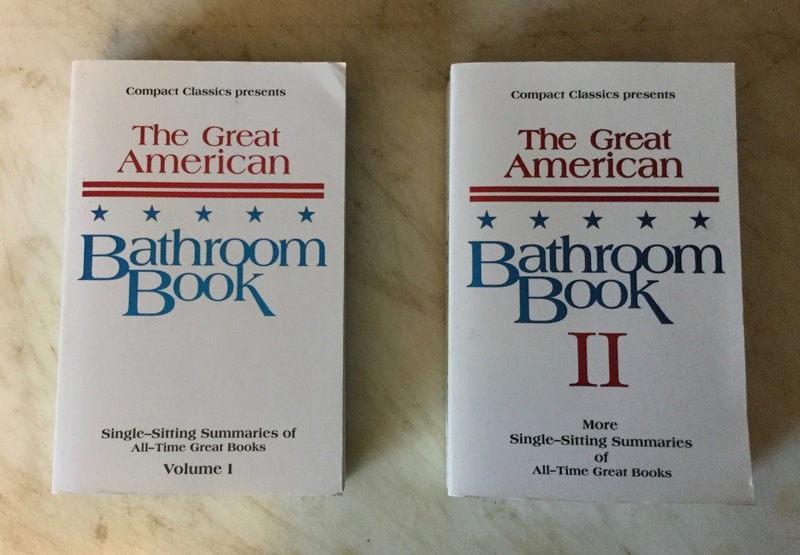 And my books about bathrooms, outhouses, and bodily functions are stored in a bookcase in the hallway outside the bathroom. 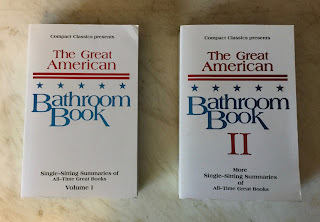 I used to keep these two volumes in the bathroom. But they're too heavy to hold comfortably while–you know what I mean. And to tell you the truth, the print is too small. But the books themselves contain a plethora of information about anything and everything. 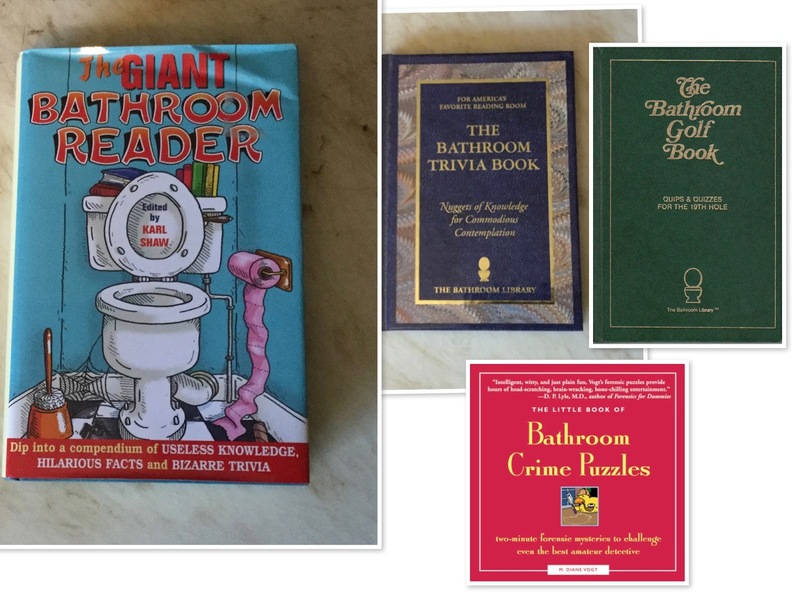 Here's four more bathroom books on assorted topics, or, as the subtitle of The Giant Bathroom Reader says, "a compendium of useless knowledge, hilarious facts, and bizarre trivia." By the looks of the hole punched through the book, this next book literally hung around in the john. The poems themselves are what the title implies: poems for the john and not about the john. 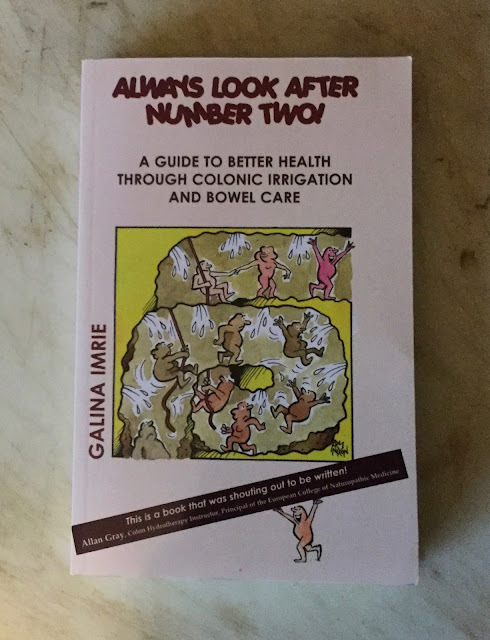 This next book isn't a bathroom book at all. 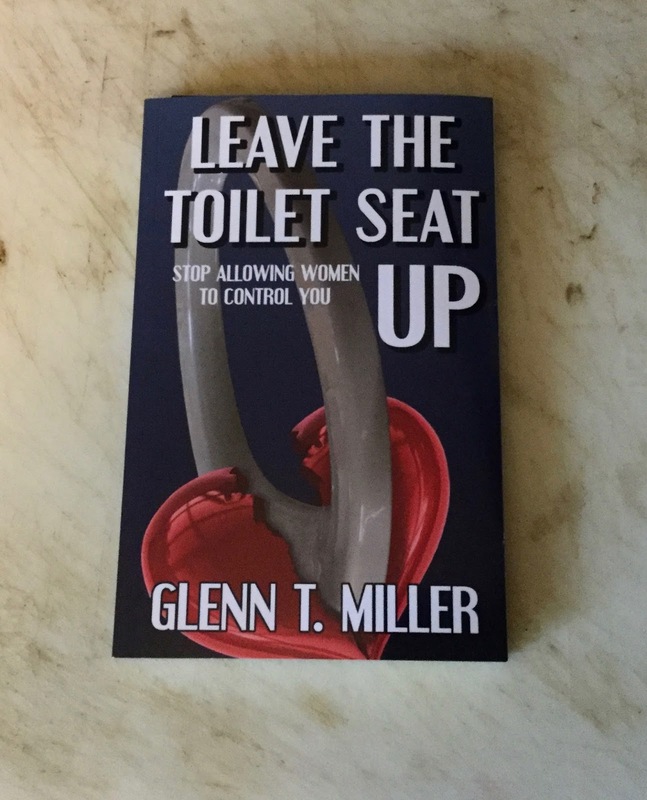 I just liked the title: Leave the Toilet Seat Up. And that's all that caught my eye. Had I glanced twice I would have realized that the subtitle, Stop Allowing Women to Control You, meant that the book was a relationship book for men. And it was not by Glenn Miller, the band leader, but by a Glenn Miller who was jilted by his girlfriend. 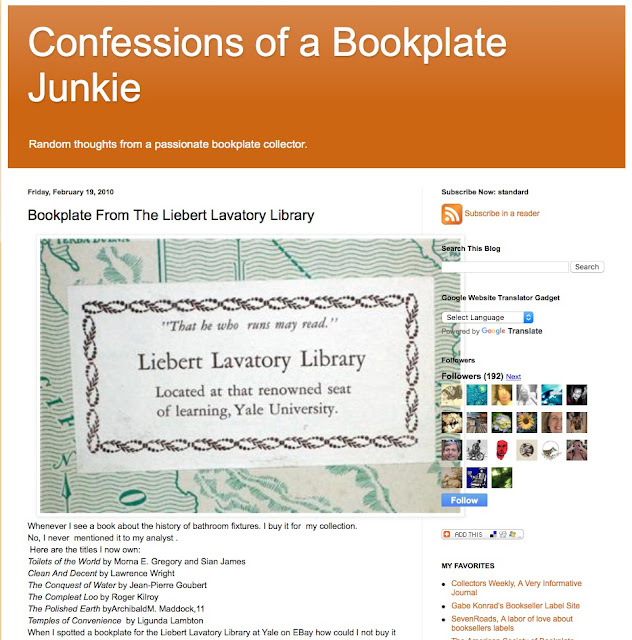 A little explanation about liking the title: I'm only referring to leaving the toilet seat up in a public restroom, and definitely not in my home. If men leave the seat up in a public restroom, maybe the next person using the toilet won't pee all over the seat. 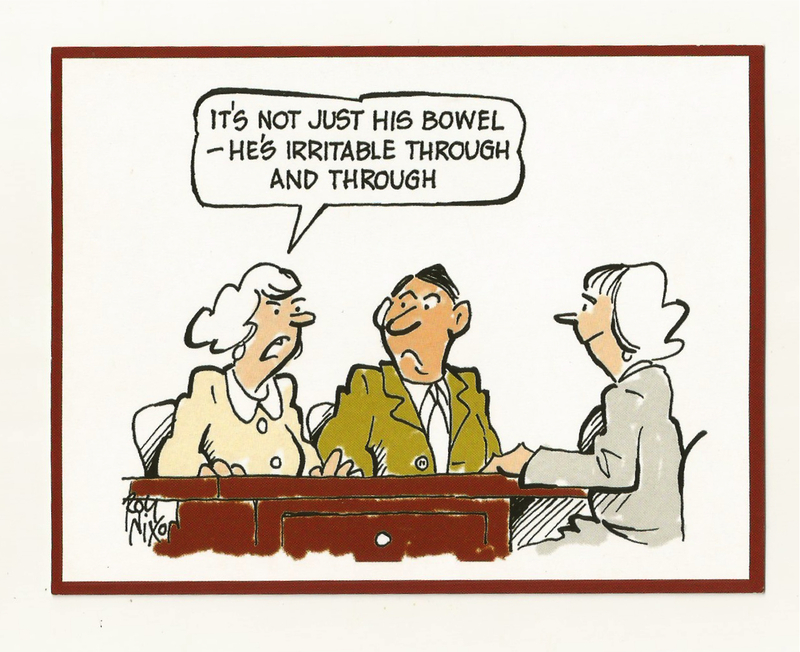 An expert on bathrooms and bodily functions I am! 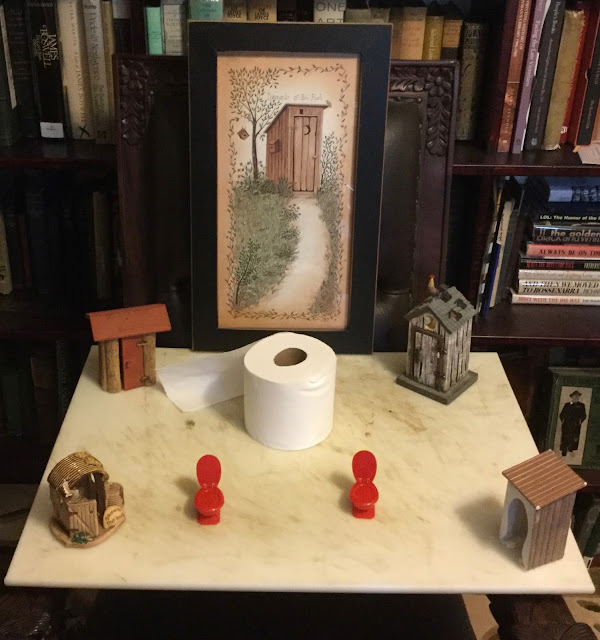 But most of what I know about outhouses, I've learned from reading books, for I have visited very few outhouses (Port-a-Potties are another story). 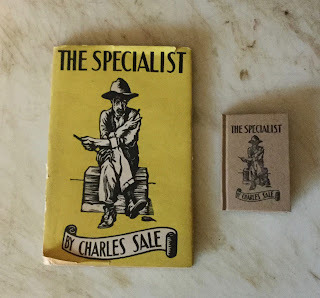 One of the first books about outhouses that I read, and one of the last books my friend Don Brady published before he died in December 2006, was a miniature edition of The Specialist by Charles Sale. 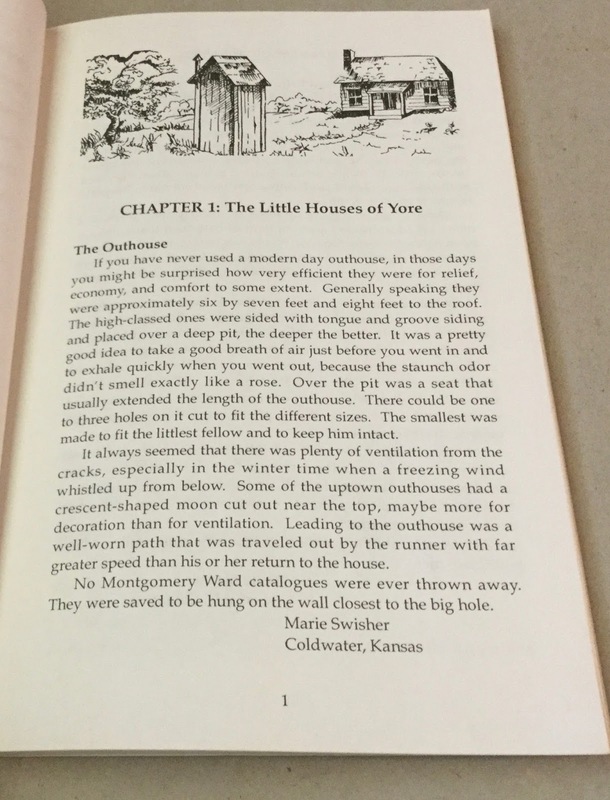 The book itself is about how Lem Putt, a specialist in sanitary engineering, built outhouses. 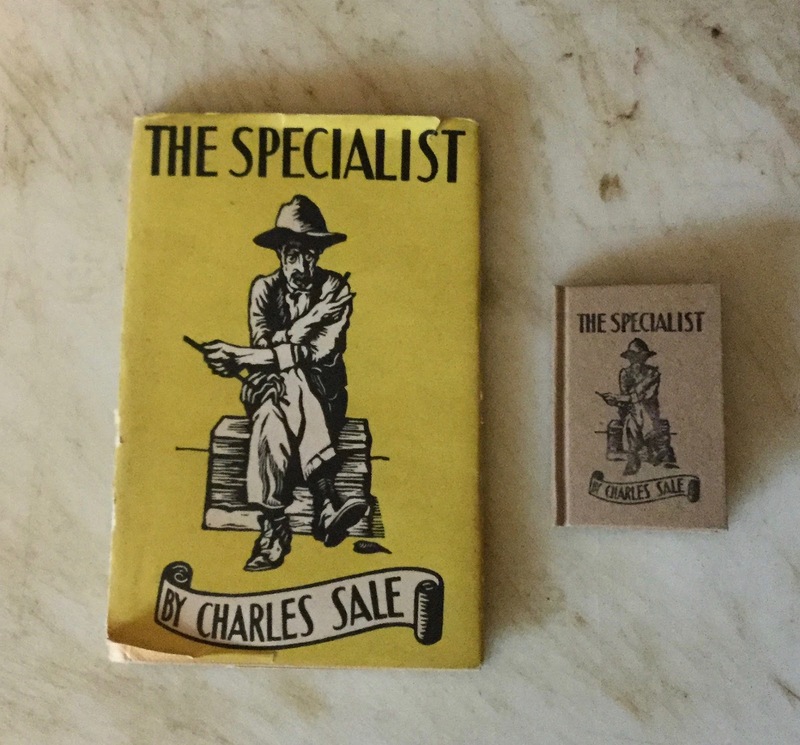 First published in England in 1930, more than two million copies of The Specialist have been sold. If the name, Don Brady, sounds familiar to you, he was "one of the bookies" as well. 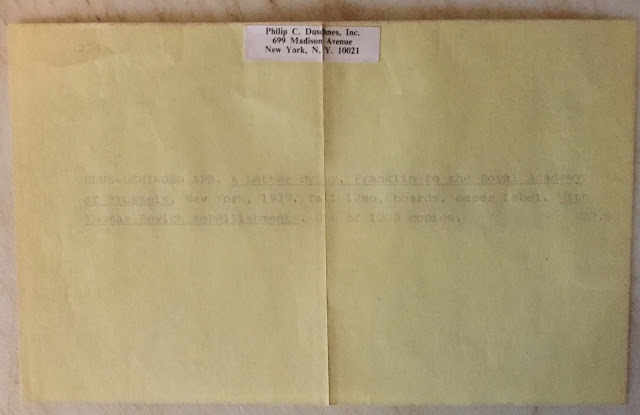 I wrote about him and his books in a 2013 blog post, From Whence They Came: Don Brady and His Miniature Books, and again in a series of three issues of The Microbibliophile. Rebecca Rego Barry wrote about his "mother books" in 2015 in her book, Rare Books Uncovered, the paperback edition of which is due out in March. 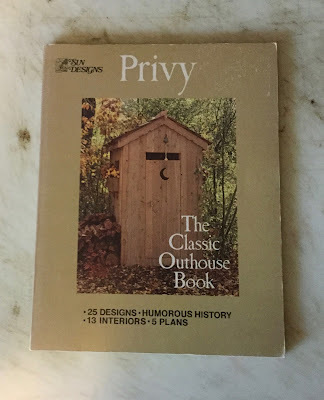 If you want to know how to build an outhouse, Sterling Publishing Co. came out with a book in 1980 titled Privy: The Classic Outhouse Book. 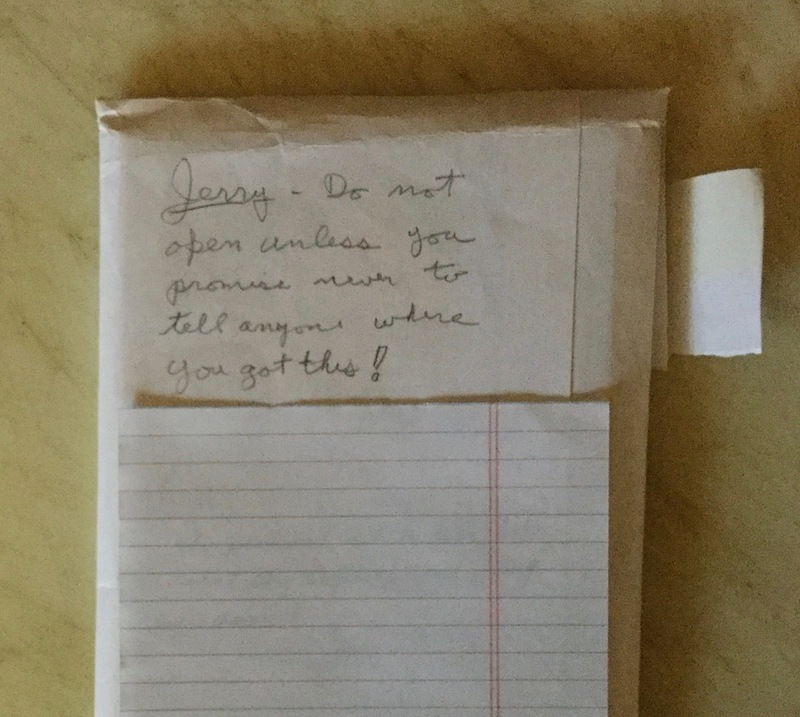 The next book is titled My Folks. 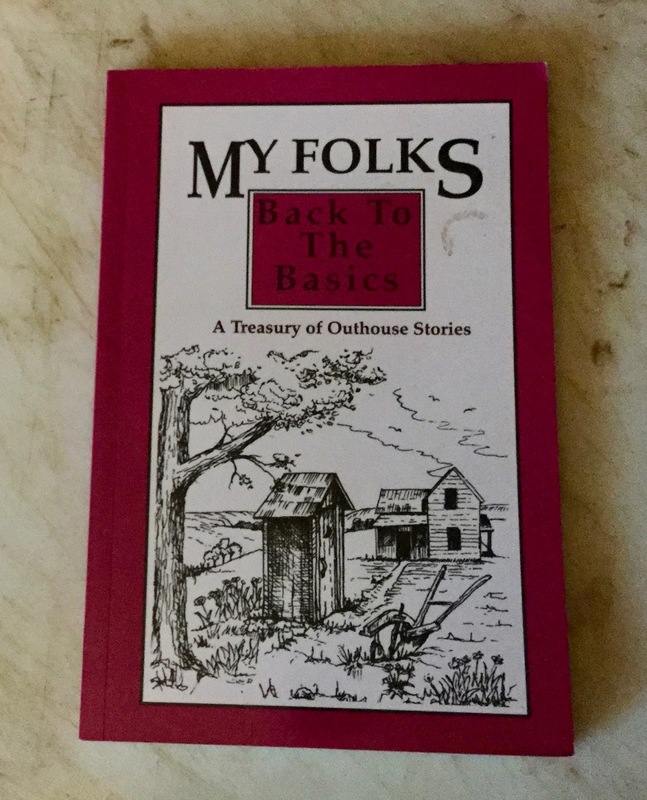 Back to the Basics: A Treasury of Outhouse Stories. 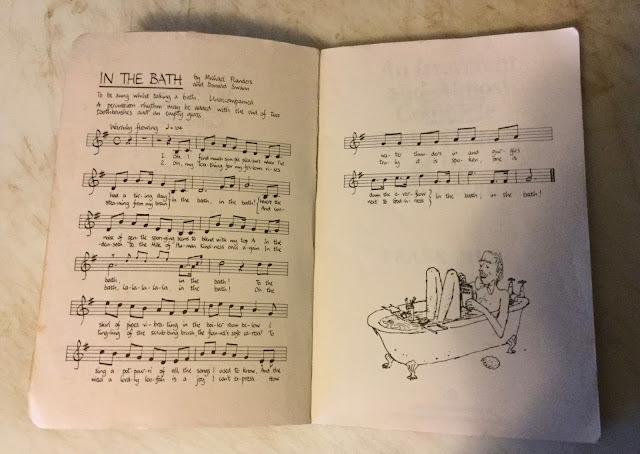 It was published by the Capper Press of Topeka, Kansas in 1994. We used to go toodling around thrift stores and antique stores with our friends Tom and Eve almost every Friday. And I passed this next book up twice at an antique store. I finally bought it the third time I had it in my hands. But it's not really a book about outhouses. The complete title is Fishhooks, Apples, and Outhouses: Memories of the 1920s, 1930s, and 1940s. The author, Jack Plano, was Professor Emeritus of Political Science, Western Michigan University. He wrote or edited over thirty books in the political science field before he decided to write his memoirs in 1991. 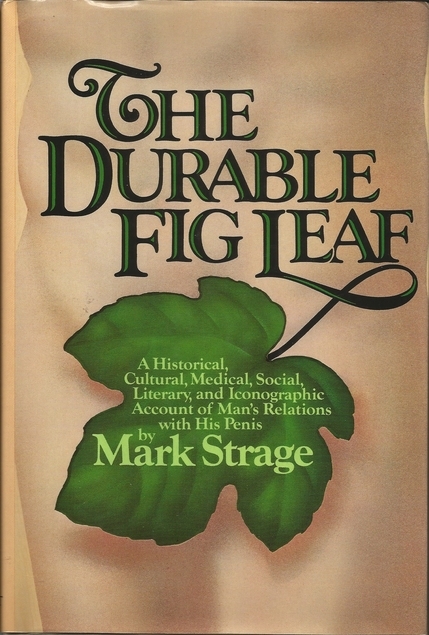 This book is the first of three books he wrote about himself. And it covers his childhood growing up in a small town in Wisconsin. The only mention of outhouses is in a chapter titled, "Law and Order," with its own subtitle of "Fishhooks, Apples, and Outhouses." 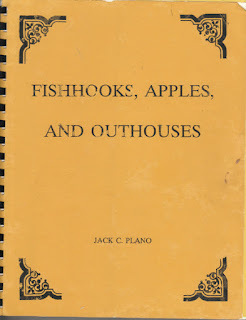 The chapter covers the lack of a crime rate in his home town of Merrill, Wisconsin; news of the John Dillinger shootout in Little Bohemia, just 70 miles north of Merrill; the reports about the Lindbergh kidnapping; stomping grapes for making moonshine; stealing fishhooks from Woolworth's Five and Dime, and when he worked there ten years later, being told to watch for little kids stealing fishhooks; "cobbing apples" from a neighbor's tree ; and finally, tipping over outhouses on Halloween. 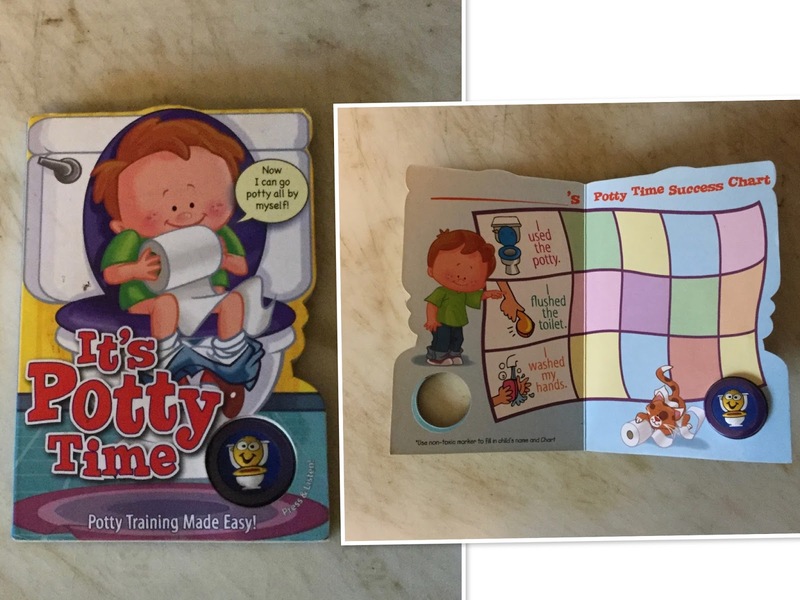 The Big Book of Bodily Functions. 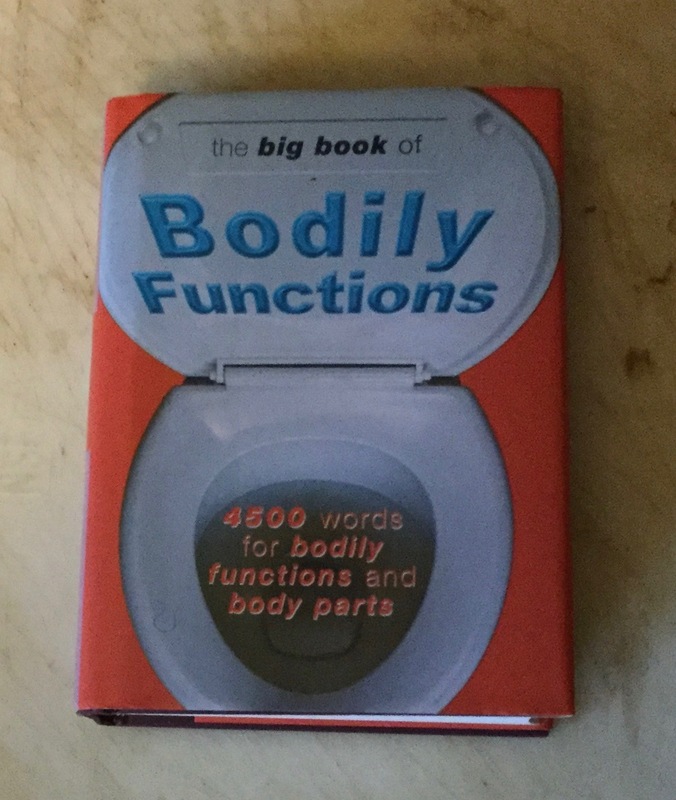 My friends Tom and Eve gave me a copy of The Big Book of Bodily Functions for Christmas in 2009. 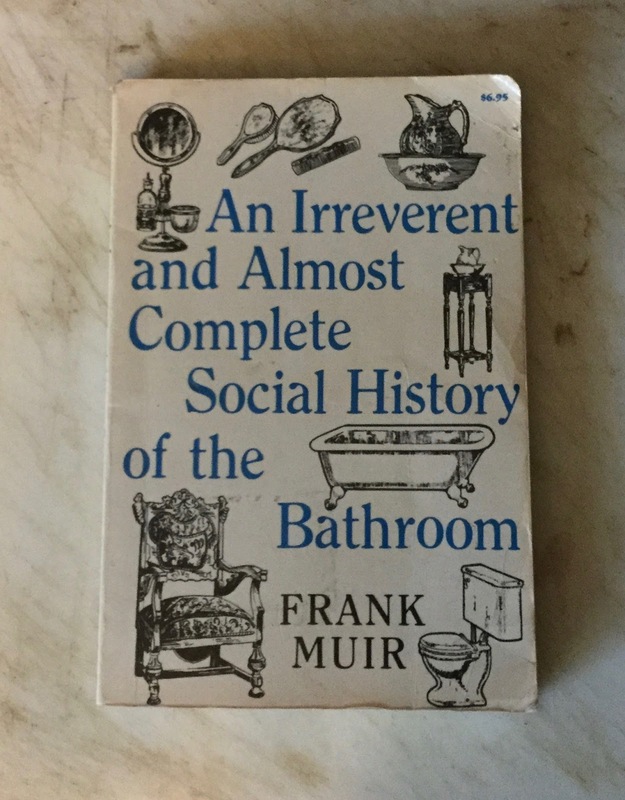 And considering my love of words and my frequent use of bathrooms, this book is most appropriate. This next book wasn't in my library too long; I was afraid that one of my grandchildren might find it. So I gave it to a friend who collects books about nature. 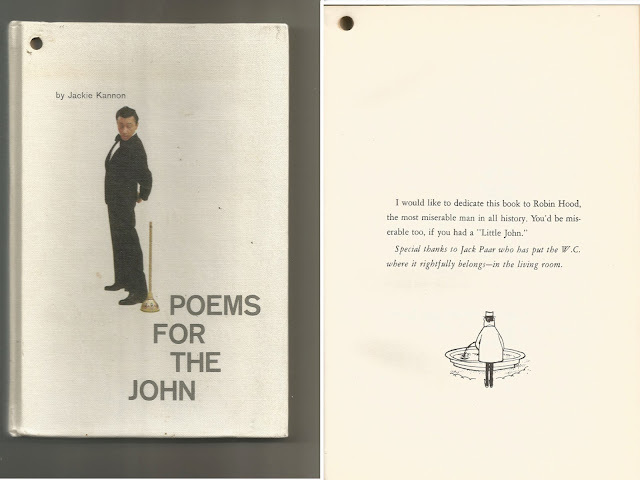 As for the book's contents, I'll leave that to your imagination. Tipped into Always Look After Number Two! were two postcard-sized illustrations, one of which I won't display because the illustrations are too graphic. 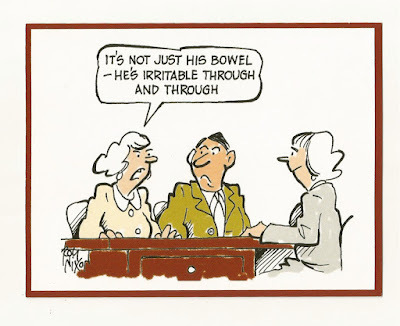 The other illustration, depicted below, tries to make fun of a rather painful and embarrassing disorder. 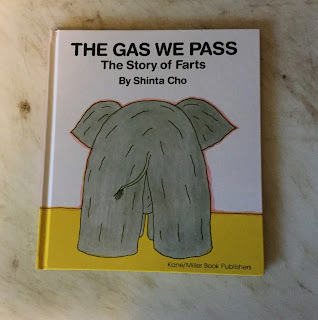 Now when it comes to farts, that's a different story! We treat that topic with humor! Ben Franklin wrote about farts in a mock letter to the Royal Academy of Brussels in 1781. 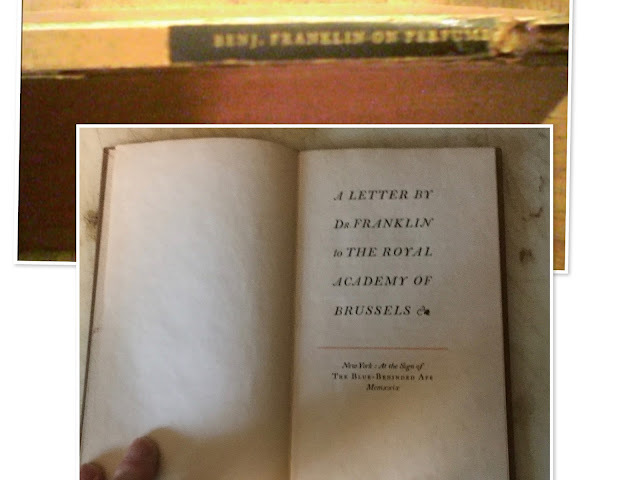 The letter, really an essay, was sent by Franklin to Richard Price, a Welsh philosopher, and is known by several titles: A Letter to the Royal Academy of Farting, Fart Proudly, and A Letter by Dr. Franklin to the Royal Academy of Brussels. The last title is the one that is on the title page of the edition published in New York in 1929 "At the Sign of THE BLUE-BEHINDED APE. But the title on the spine reads, "Benj. Franklin on Perfume." Franklin suggested that the Royal Academy of Brussels discover a drug to make farts smell like perfume. 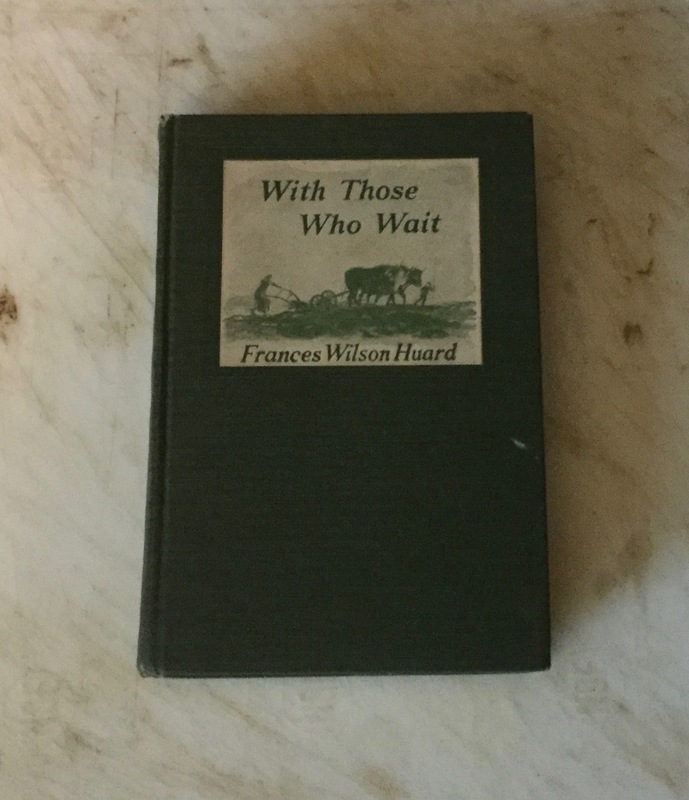 The New York City rare book dealer, Philip C. Duschnes (1897-1970), sold this copy of the book for $20. Xanthius: "If nobody will take away my pack, I'll let a fart and blow it off my back." 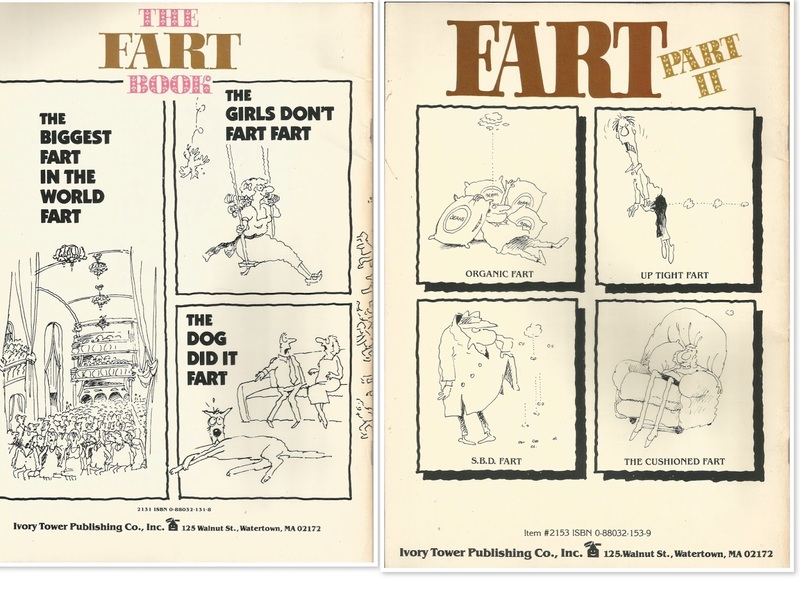 "The publisher has a real stinker on its hands!" "Dawson has exhausted his subject!" "The author should've kept this book on the back burner!" 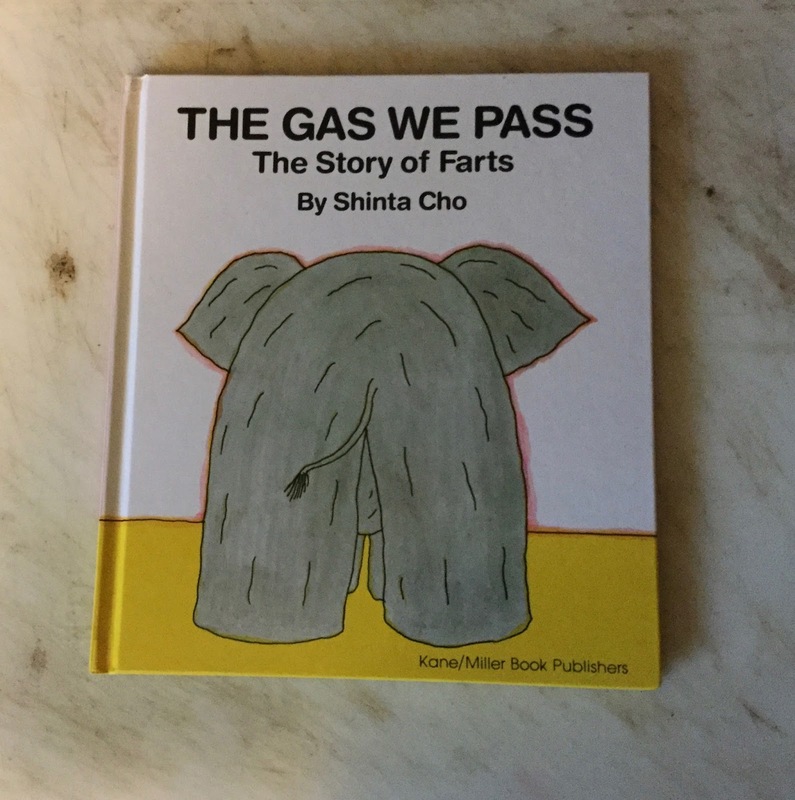 "A pocket of methane within the bowels of the publishing industry!" 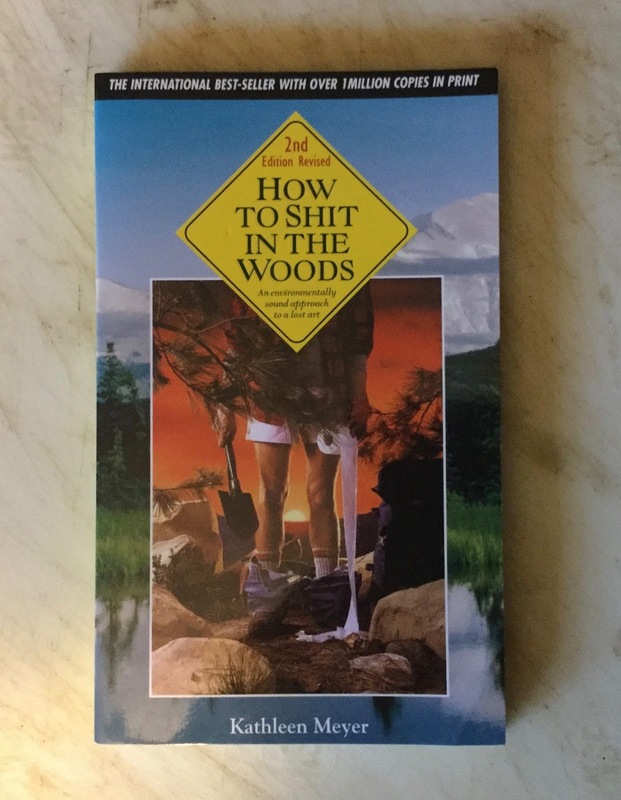 "Certainly one book I don't plan to bury my nose in!" 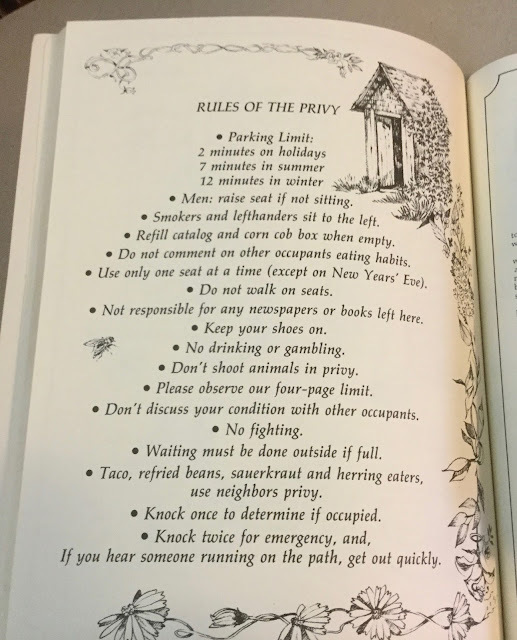 "Should keep the Literary Establishment fuming!" "As a cheesy writer, Dawson doesn't quite cut it!" 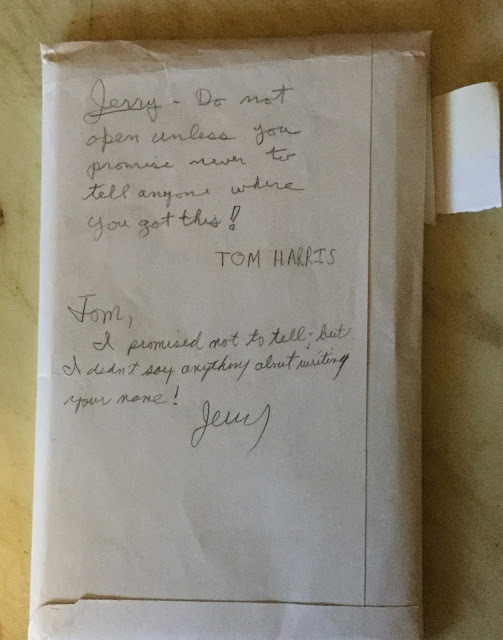 "Wait'll the public gets wind of this book!" 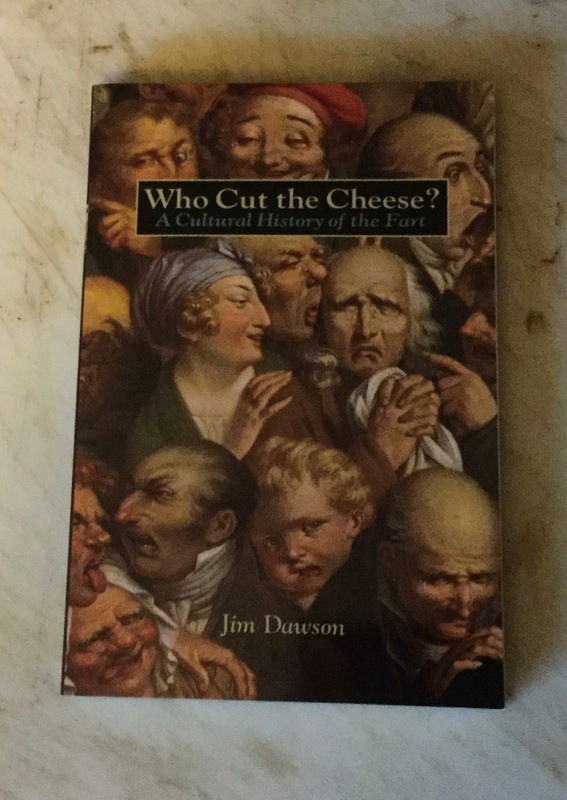 "A chronicle of life on the cutting-cheese edge!" 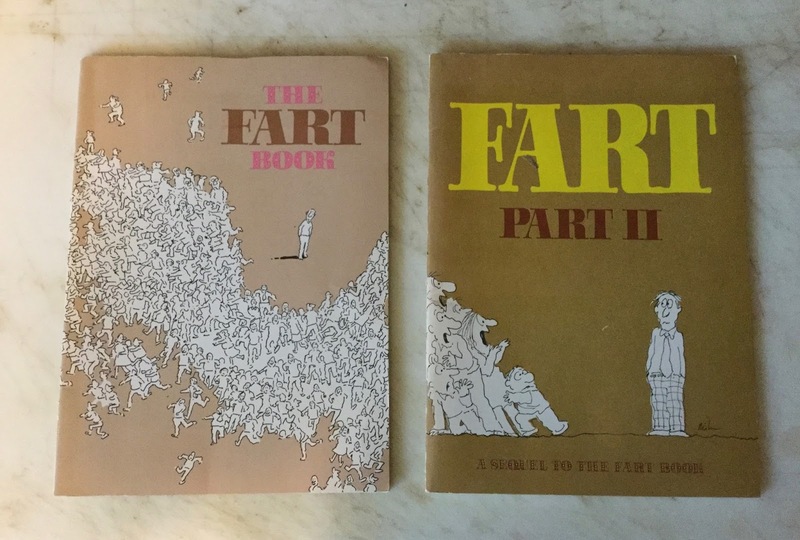 If illustrations about farts please you more than the written word, I recommend The Fart Book and its sequel, Fart Part II. S.B.D. stands for Silent But Deadly!